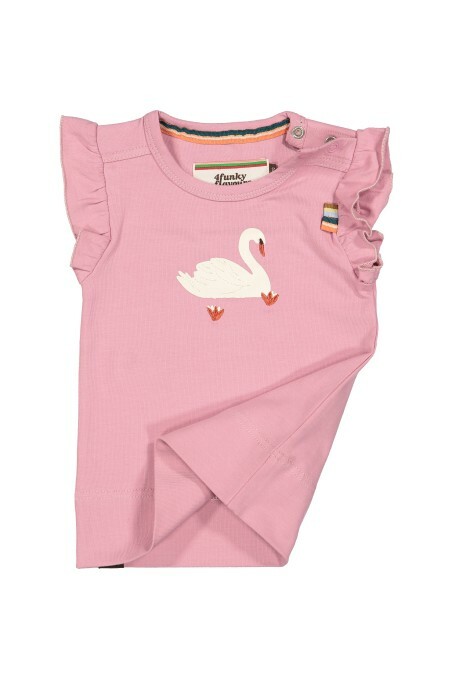 Light pink top with a swan and embroidered details. Mint green top with embroidered patches. 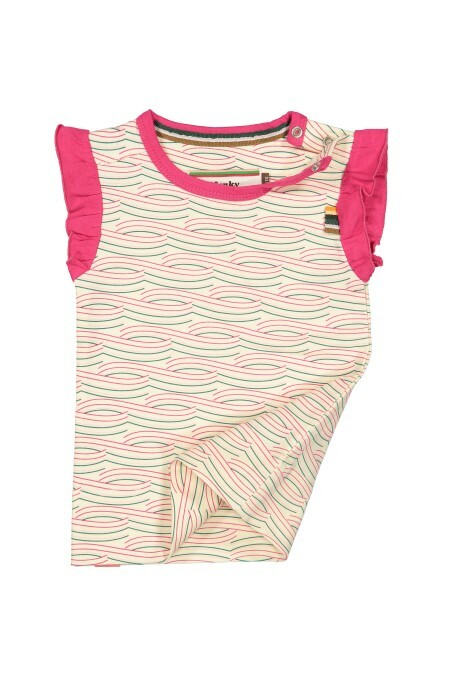 Beige top with wavy print and bright pink hemlines. 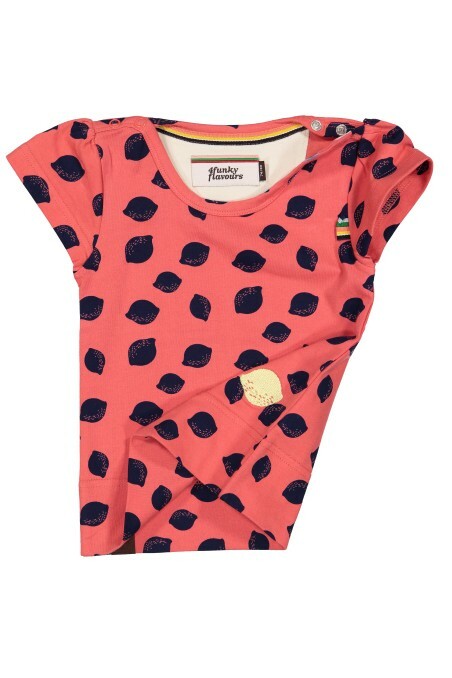 Pink top with lemon print.